If you’re worried about Microsoft locking down Windows 10 PCs and locking out traditional desktop apps, this story won’t make you feel any better. Microsoft quietly added an interesting feature to Windows Insider build 15042 that can prevent users from installing traditional desktop programs (Win32 apps). Users instead are prompted to download Universal Windows Platform (UWP) apps from the Windows Store. It’s easy to see situations where someone might want to go Windows Store-only. On a family PC, for example, this would prevent children from installing something they shouldn’t—as long as they weren’t using an administrator account. 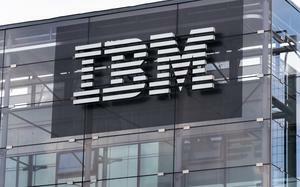 IT departments may also want to use this setting to lockdown PCs in corporate environments. Power users, however, will probably never want to use this feature since it shuts you off from everything that makes the Windows ecosystem worth using. Steam, most PC games, Google Chrome, Firefox, and major image and video editing programs would all be out. The only exception would be any Win32 “Centennial” apps such as Evernote that were re-packaged for the Windows Store. The first and last options are self-explanatory, but the middle option is a little confusing. With this option enabled, you will still be able to install Win32 apps, but before you get to install it, Windows will throw up a warning window, as explained by Paul Thurrott. “The app you’re installing isn’t from the Windows Store. 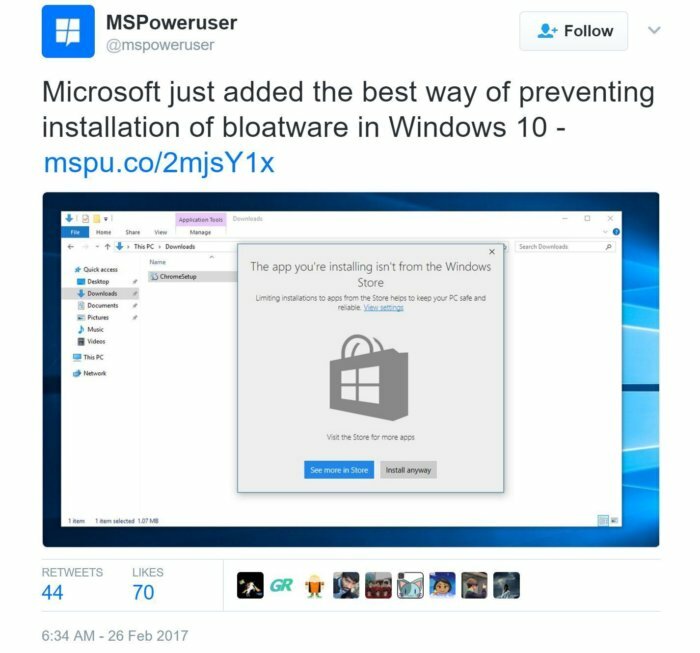 Limiting installations to apps from the Store helps to keep your PC safe and reliable,” the warning says. Then at the bottom of the window there are two options: See more in Store and Install anyway. The story behind the story: Assuming this feature makes it into the final version of the Windows 10 Creators Update, Microsoft will likely present it as a security feature. Apple has done something similar on Macs since 2012 with Gatekeeper. But for Microsoft, this may very well be the next step towards a UWP-only world on Windows 10. The UWP platform is nowhere near as capable as Win32 right now, but presumably it will be one day. 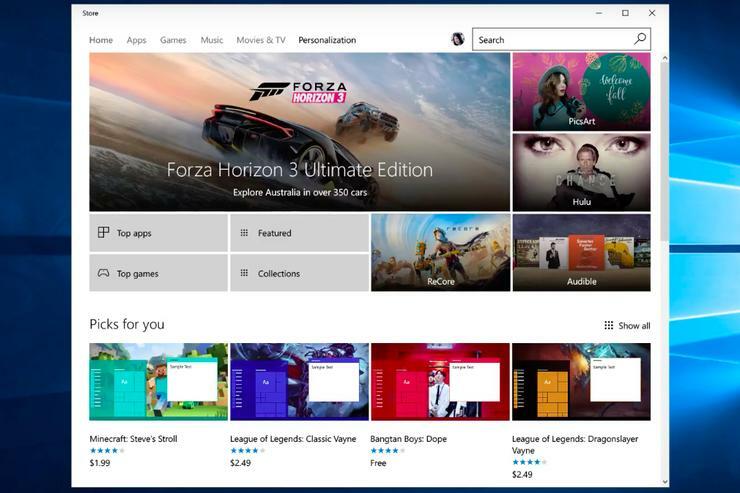 The good news is there’s nothing to prevent developers from creating UWP-based stores and apps that exist outside, and compete with, the Windows Store. The problem? Windows 10 currently doesn’t let you install non-Windows Store UWP apps without turning on developer mode. That’s a huge disadvantage that Microsoft may not be too keen to correct—and one that worries Epic CEO Tim Sweeney.